There was a boy in high school who stood out. For both good and bad, for his height, his clothes, his penetrating gaze when he talked to you, his arrogance. I noticed him early in September freshman year, and immediately I knew that I didn’t trust him. It wasn’t that I didn’t like him, but that I knew every time he would choose the wrong thing. That he didn’t know how not to let someone down in his laziness and youth. For four years, our paths crossed occasionally, a mutual friend, a witty conversation, an awkward comment as we passed. I watched as he made reckless decisions, hurting young girls who saw only the handsome prince and not the boy. I had my hackles up because I knew exactly what he was like. No one had to tell me that I wasn’t the only he made feel like a million dollars, that I (along with everyone he talked to) was the only person in the room. No one had to tell me that his confidence in his charm was a very part of that charm. Even as I allowed myself to laugh because I like a quick tongue and an educated joke, I knew that I could never truly be myself. That’s the thing about early assumptions: you almost always think they’re wrong. You second-guess yourself. You remind yourself that you are critical, that you expect too much of people, that you put people in a pretty little box with a label (“Fake,” “Selfish,” “Socially Awkward,” “Immature”) and set the box on the shelf in your closet, never bothering to open it and rethink that decision you made so many years ago. And because you know your tendencies, you force yourself to rethink it. You figuratively slap your own arrogance in the face, and you dare them to surprise you. Surprise me, I whisper, when I begin to trust. Surprise me, I hope when I let someone begin to love me or someone else I care for. Surprise me, I dare, even as I watch again and again as they continue not to. Prove me wrong. Please. In this one instance, I want so badly to be wrong. I guess what I’m realizing is that sometimes you’ll never be surprised. Sometimes, that immature fourteen-year-old-freshman-self wasn’t as dumb or judgmental as you claim, and really, here is a young man who’s grown up to be just a taller, more successful, equally-self-centered gentleman with a penchant for desiring goodness but without the will-power to get it. The same laughing blue eyes, the same way of leaning towards you with an intensity that – for just a moment – feels like yes. There are some people who live up to their reputations. There are some people who, after years and years of chances, will never surprise you. And you can love them from a distance, but that is all you can do. This entry was posted in a little angst?, faith, ponderings on womanhood and tagged change, faith, growing up, surprise on January 26, 2014 by catherine_hawkins. One of the best things you’ve ever written. Thank you so much for reading, Kate. Fantastic piece, and I love the surprise me approach to trust and love. Notre Dame? Interesting companion photo. It’s the word that’s been rolling around in my head for a few months – just this idea that to break the “bad” reputation would be a good and worthwhile surprise. 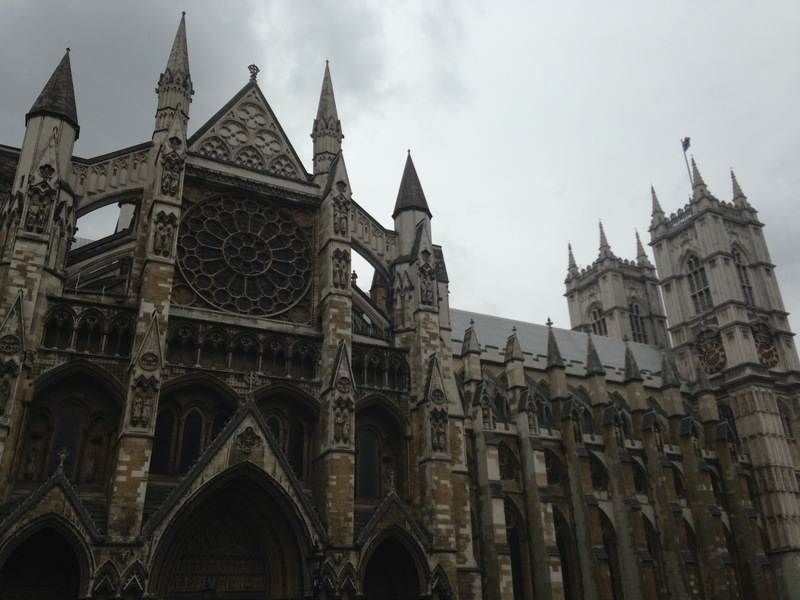 No, not Notre Dame, Westminster Abbey in London. This is beautifully written, I think everyone can relate this to someone who has crossed their path in life. Yes, I definitely think there are people like this in everyone’s life. It’s letting go and loving that’s difficult to do at the same time.